It can get quite overwhelming to prepare for baby and search for the perfect toys. We get bombarded constantly with commercials and advertisements for all sorts of gear and contraptions. Today, I want to provdie a concise list of (mostly) Montessori Toys for Babies around 4-6 months old. These are toys that my daughter loved. Toys that are great for developing hand muscles. Toys that encourage concentration and exploration rather than discourage it. This list is small because I don’t think that little ones need tons and tons of materials. I would rather get fewer items that are quality materials and are more expensive than many, less expensive ones. What we recommend? Let’s dive in! Montessori babies really don’t need tons and tons of toys. I love this! My daughter is happy to crawl, move around, and explore her environment. There are however some toys that I find useful – they help to engage baby, are great for helping them learn to grasp, and even help to develop concentration! At this age, babies do not need much! They really are also happy to explore real objects from the home. However, there are a few basic types of toys that are wonderful for developing hand eye coordination, strengthening muscles and developing grasp, as well as providing a nice item to chew on for those pesky teething pains! Honestly, if you only have these four toys for a four month old, this will be enough, along with some beautiful books. We do have some variationss and other types of materials though. If you have some of the basic toys, it may be nice to give baby a few additional items to explore. Here are some of our favourite types of toys. Cloths and wooden blocks are really great items that I recommend getting early. They can be used for exploration and treasure baskets for babies, and are wonderful open ended materials for older children. Subscribe for exclusive access to discounts, freebies, and special offers! In Montessori, realistic images are used for learning before cartoon or drawn images. For baby books, I do recommend getting several good quality books with real images. I am lenient on this though, and don’t only have such books. One of N’s absolute favourites is Brown Bear, Brown Bear, What Do You See? It doesn’t have real images, but is really a nice, quality book. I really like Eric Carle books, so maybe I am just partial to them. For N really, these were some of her absolute favourites at this age. A few blocks, a simple book that always made her laugh, and a few nice, good quality rattles for grasping and mouthing. We had a lovely stuffed toy that a friend had made for N. Natasha loved chewing on it, and I liked that I could throw it into the washing machine for easy cleaning. I actually prefer this to the wooden rattles with the crochet covering because they are difficult to clean. I like to have either wooden toys or cloth toys to make cleaning easier. When choosing toys for babies, it’s best to get simple toys that are engaging. Toys with batteries are distracting and lead to a situation where a child simply watches the toy, but does not engage. Baby toys also don’t need to be wooden, but we do like good quality, natural materials that are safe for baby to use. Often, these tend to be wooden, but they do not have to be. Also, my husband makes many wooden materials for us, so our stash is kind of big. Investing in a few, beautiful, and engaging materials is really all you need at this point! What are your favourite picks for baby toys? What is your little one loving? Read our article Where to Start with Montessori for Baby’s for tips on creating a Montessori baby space in your home. You can find all of our useful articles about Montessori babies in one place. You can read about the differences between Montessori Weaning versus Baby Led Weaning. This simple DIY can create such a fun movement activity for babies. This article contains several ideas for activities for babies to help them explore senses. 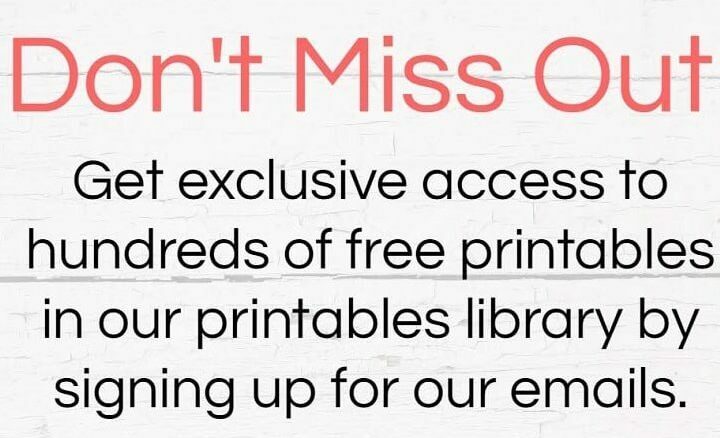 Be the first to know of special deals, get exclusive printables, and more by signing up to receive our email updates!